Here is more detail about the day two conference programme and biographies of presenters and facilitators. Presentations will be uploaded here after the conference. This page will develop as presentation plans develop to enable conference participants to engage with the conference kaupapa. Programme summary – see below for more detail. 9.40: Workshop one (workshops include Food, Regenerative agriculture, Trees, Māori response to climate change, Electricity and Transport and Project Co-ordination). This session introduces workshop facilitators with a brief outline of the solutions and a open session on links and synergies between solutions. 9.45: Workshop one: Venues at NorthTec to be finalised. Workshop programmes will be tailored by facilitators. Participants come from a range of interests, so the first workshop will include brief introductions and the questions formulated by the convenors and facilitators. Here is more detail about the workshops with links to further information on this website. As a newly appointed member of the NorthTec business team, Eloise Neeley combines her recent academic success in achieving a Master of Business Studies degree, with her expertise gained from a twenty-year career in agribusiness and interest in community development. Eloise’s presentation details some of the findings of a year-long thesis project exploring the lives of three women and the contributions they and their grassroots community groups are making to build resilience and capacity to withstand challenges such as the increasing effects of climate change. 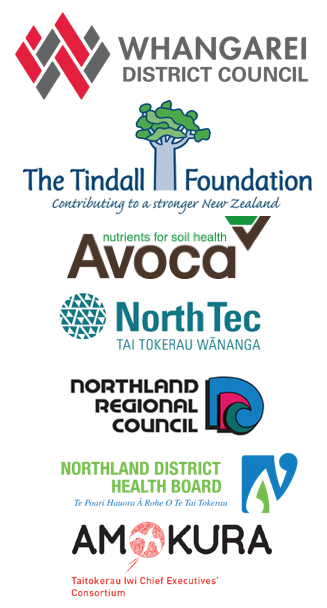 One of the aims of this research was to present a fresh perspective, relevant to Tai Tokerau and the many small communities within our province. Eloise has used her proven leadership and communication skills within her professional career as well as in several voluntary roles, including facilitating effective relationships between farmers, iwi and local Government, submitting on many issues affecting rural communities and coordinating events to raise awareness and help bridge the knowledge gap between urban and rural communities. A strong advocate for life-long learning, Eloise believes in empowering communities to be actively involved in finding solutions to problems through recognising the knowledge and expertise they already have and working in a collaborative way to achieve successful outcomes. Professor Tapsell is a graduate of the University of Auckland (MA – Social Anthropology) and University of Oxford (DPhil – Museum Ethnography) and has had a career working within both the Museum community and academia. He was Tumuaki/Director Māori of Tamaki Paenga Hira/Auckland Museum from 2000-2008, and was appointed as a Professor of Māori Studies in 2009 when he joined the University of Otago in Dunedin.Paul Tapsell (Ngāti Whakaue, Ngati Raukawa) is a currently a senior research fellow at the Centre of Sustainability at the University of Otago. Paul is also a co-founder of the web-database Māorimaps.com and is now the Chair of its governing board Te Potiki National Trust. Paul’s research interests include contemporary Māori identity, cultural heritage & museums, taonga trajectories, Māori values within governance policy frameworks, Indigenous entrepreneurial leadership, marae and genealogical mapping of tribal landscapes. Hirini Tane (Ngāti Rāhiri, Ngāti Kawa) is PhD student from the Oromahoe in the Bay of Islands, studying at the University of Otago, Dunedin as an Otago University doctoral scholar. His academic background is in archaeology, anthropology and Māori studies. The general theme of his research interests is understanding something of the relationship between people, land and water. His PhD research asks, what will his marae-community (papakāinga) look like in 100 years? It explores notions of Māori land tenure, trusteeship, whakapapa and cross-generational development. Hirini is also a senior researcher for the geo-spatial website www.maorimaps.com. Dr Goodale’s primary research interests are in plant physiological mechanisms underlying the ecological properties of species, communities and ecosystems. Her research has included projects on the climate resilience of tropical and subtropical tree species’ seed germination. Dr Goodale is the Editor in Chief of the Journal of Sustainable Forestry and the co-chair of the IUCN Seed Conservation Specialist Group that aims to expand networks and provide a platform for sharing information and ideas, on seed conservation, enabling all to be better conservation stewards. Providing an education for our children rooted in sustainable living is the key to having a future population that understands the value and importance of forests, and our natural resource for our own survival in this planet. This should not be just the work of the forester and the conservation biologist; we all need to take part in a way of thinking and being that allows us to maintain and use our forests in a sustainable manner. (From Taylor and Francis Editor Resources). Dr. Gayani Hewagama recently completed her Ph.D. at the Department of Management and International Business, University of Auckland. Her work experience includes over ten years of teaching and research in Sri Lanka and New Zealand. Gayani’s research interests include service management, work and wellbeing, and carbon accounting. Her dissertation project focuses on the ways in which hotels manage their staff to achieve high standards of service quality and how these management practices affect service recovery and job satisfaction. This session is for sharing progress from the two earlier workshops. Ideally more connections will be made between the solutions. The third and final workshop session develops action plans. Action plans are shared in the final plenary. This is also an opportunity to firm up plans to strengthen collective momentum.